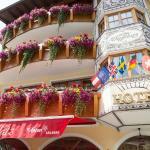 The beautiful Sankt Anton am Arlberg is situated about 1800 meters above sea level in Austria, in the heart of the Alps. Tyrol is a fantastic place to spend your holidays in summer, when you're immersed in a beautiful, lush mountain landscape, as well as in winter, when you can enjoy many sporting activities in the snow. Try the sixty miles of trails for mountain biking or play golf in the Green of the area. During the winter don’t miss the hundreds of kilometers of ski slopes, suitable for all levels and also for fans of snowboarding. The more adventurous can experience canoynig, rafting and paragliding, but if you prefer a quiet holiday, relax in the Arlberg-well.com multipurpose center or take a walk in the park. There are numerous events and folk festivals, such as those who celebrate the return of livestock to the village after their summer on high pastures. The film festival in September has become a fixture that draws filmgoers from around the world. 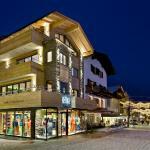 In Sankt Anton am Arlberg, you will be spoiled for choice as regards the many accommodation options for your stay. All the picturesque chalets and pensions welcome you in a warm and friendly atmosphere and all boast the best facilities, such as exclusive spas to relax. In the evening you can have fun in one of the several local restaurants or in the bars and pubs that enliven the nightlife in this resort. 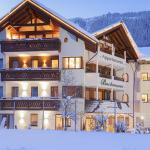 Hotel Tyrol awaits you in the heart of St. Anton am Arlberg, a major skiing resorts, a short distance from the ski lifts. 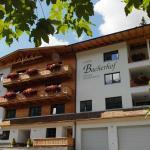 This area is internationally famous for the ski slopes and cross-country ski trails. 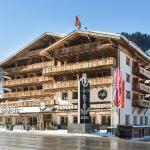 Hotel Sonnbichl is located in the quiet region Nasserein / St. Jakob, near the picturesque town of Arlberg, not far from the centre of St. Anton and from the ski slopes, reachable by a free shuttle service.